Our 1st edition was a memorable one for many festival goers. Don’t miss the 2nd edition of the Festival Country Fort-Coulonge/Mansfield (June 1st-4th 2017). See the lineup here« Nous trouver ». The success of the festival is because of you. Thank You for choosing our Festival Country Fort-Coulonge/Mansfield. You won’t regret it. Close to 40 performers will grace the stage inside the arena. House Band: our friends SylDan (Sylvain Lamothe et Dany Denis) with Sylvain Pouliot (steel guitar), Éric Sauvé (piano), Ben Rutz (fiddle), and many more. 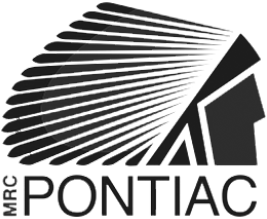 Come discover the beautiful region of the Pontiac (Chutes Coulonge, one of the largest covered bridges in Canada, bison farm, etc.). Large campground for trailers and RVs. Reserve your spot now with hookups (water and electricity). Places are limited. We await you with a smile and good humeur in a charming family oriented atmosphere!